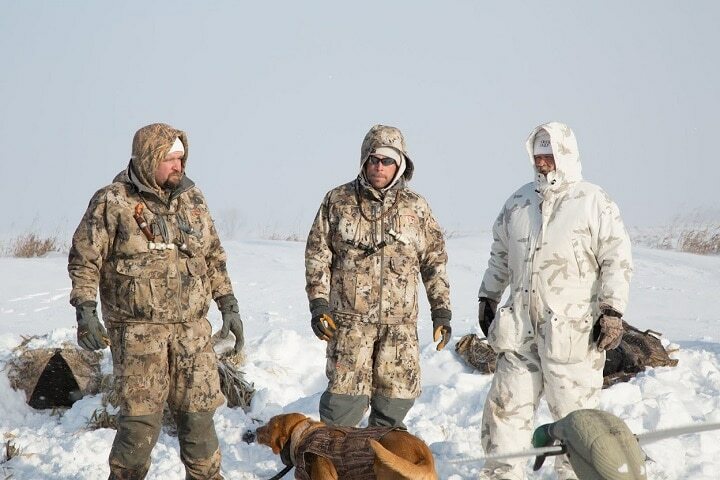 I have been a practical outdoors man for better than 60 years and have spent a good deal of time in places you would only go with a good rifle on your shoulder and a good knife at your side. 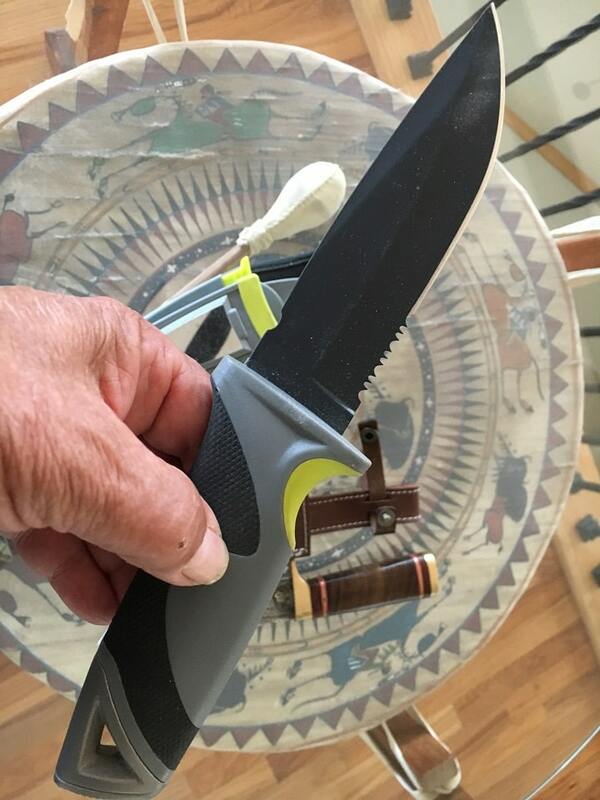 I have learned what a first-time hunter or experienced backpacker should look for in a survival knife. 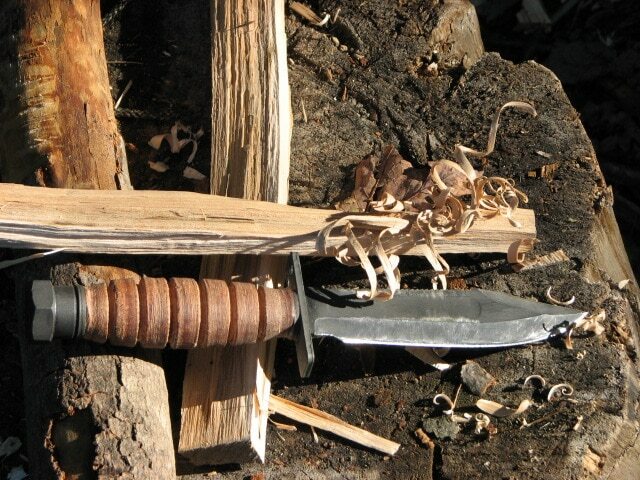 The survival knife needs to feature several special qualities. These include constructed strength, and the ability to deliver power and performance in a situation that would stress or break most general-purpose knives. 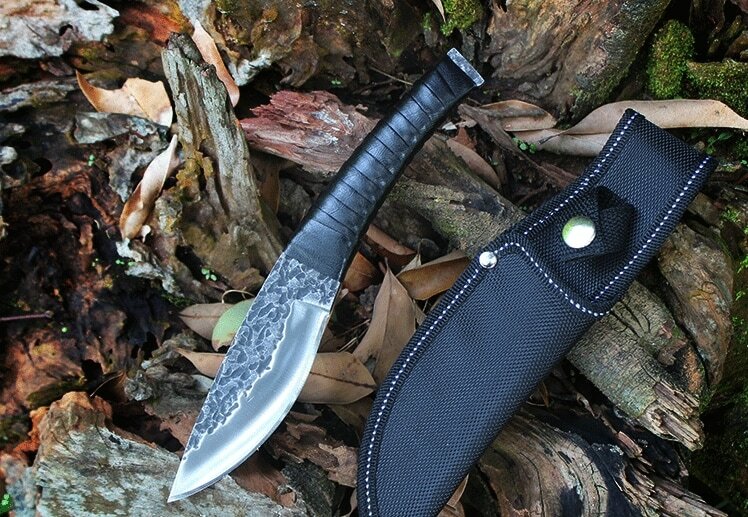 I have selected a number of blades that I feel can meet the requirements and will make life easier in a wilderness camp or even when facing a life or death situation in the field. This survival knife conforms to a military-style cutting tool and falls right into line with better grade cutting equipment taken afield. This larger knife retains a 7” titanium blade, hardened plastic handle, and is made for serious field applications. 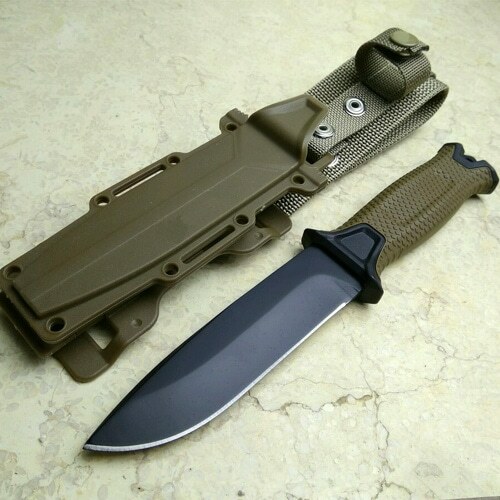 Set up with a military style ABS sheath, the HM Military can take very rough handling such as in underwater use, wading swamps, days of rain or freezing weather, and just about anything else nature can throw at the blade and sheath. This knife can dig holes, cut heavy brush for shelter construction, split a large animal for quick access to back straps as camp food, or be turned into a spear when wrapped on the end of a stout wooden pole. 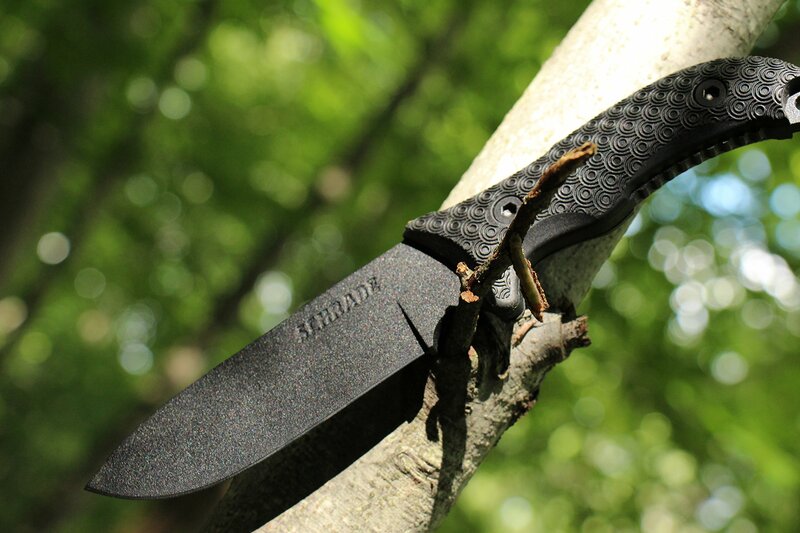 While not designed to win beauty contests, the blade is designed to take on hard tasks afield. 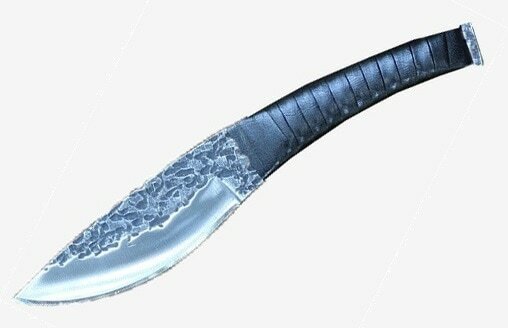 However, this blade will meet the tasks at hand as a fighting survival knife. For a somewhat different direction in survival knives, a turn to a secondary blade like the Daomachen comes to the forefront. 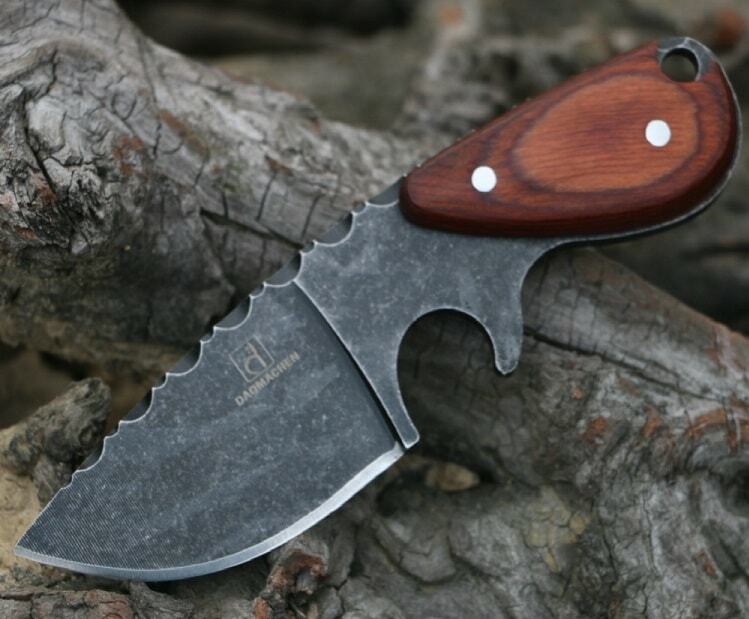 This short blade, general-purpose skinner-style blade can act as a camp kitchen- cutting system and is small enough to allow it to be carried along with a heavy general-purpose larger blade. Measuring a short 15.5cm with a 6.8cm 75HRC hardness blade, the stone-washed steel is set up for work that would be a bit tough for a larger knife. 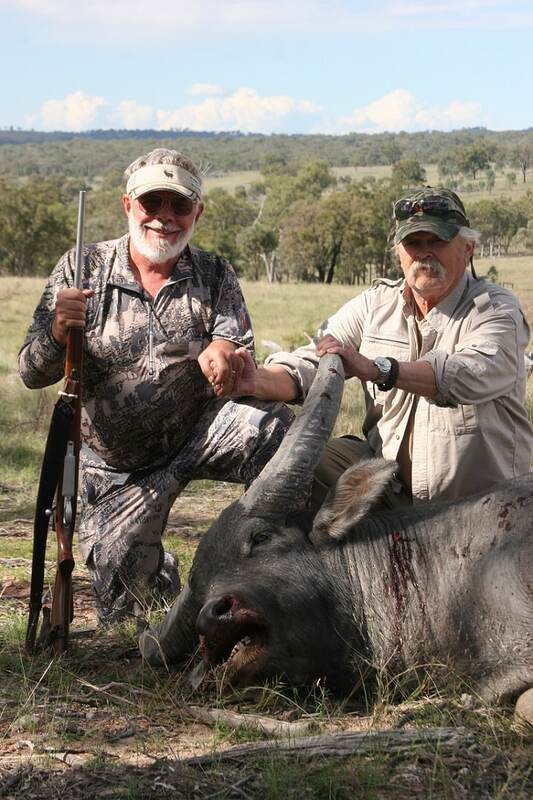 Pulling skin from a small game animal, cutting bush tucker, or general camp food preparation are some possible uses for this smaller category in field knives. Because if it’s one-piece construction, this knife would be stronger than many folders that would be tasked with the same work load. At the time of writing, this is priced at $49.99 but click below to claim 10% discount and free shipping. 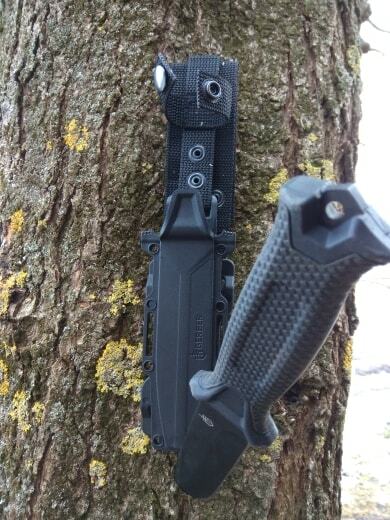 When considering a knife with less weight and heft and well away from the military blueprinted survival systems, the Chachekadiy survival blade comes to mind. 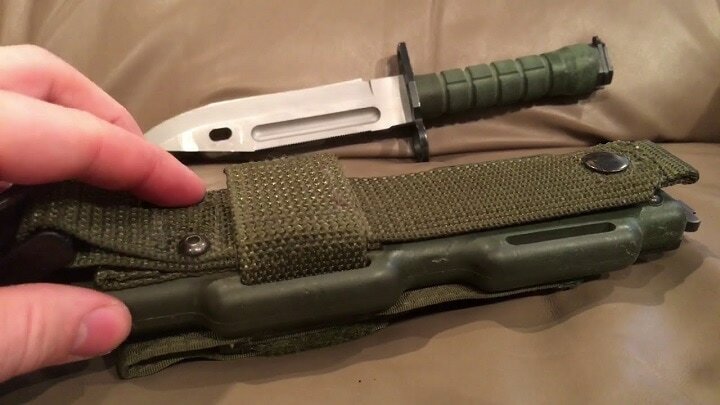 This knife retains a chromium steel forged blade that could have come from knocked out Russian T-72s suspension spring systems or Russian-destroyed MBT hand grip handles. 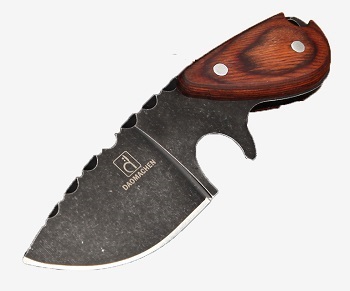 This knife is sleek-looking and features a 9” blade and a rope leather handle. While not set up for fighting, the blade is substantial in mass and can handle tough tasks in the field. 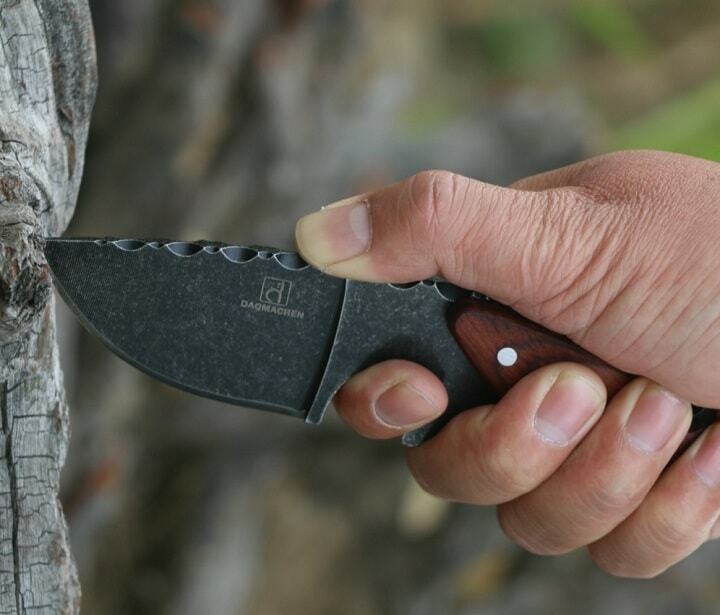 The Chachekadiy is designed as a straight through one-piece steel blade and grip handle area. This means strength when hard use is required. However, the knife is so nice looking that some may shy away from using this knife for down-and-dirty tasks. At the time of writing, this is priced at $45.99 but click below to claim 10% discount and free shipping. 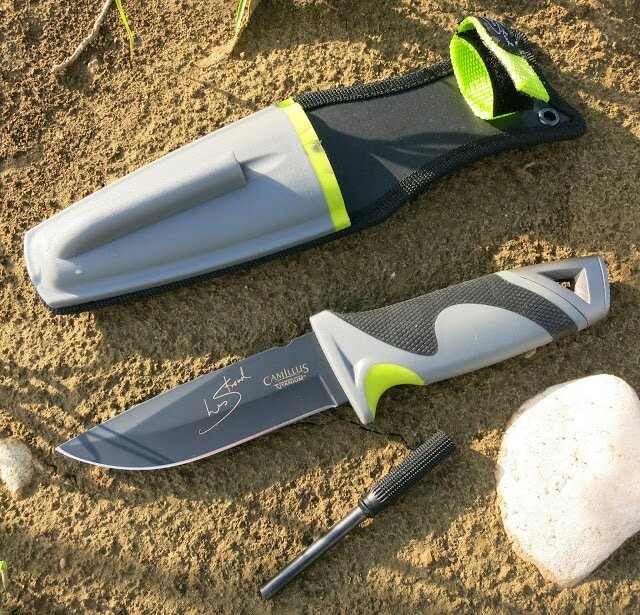 This knife is not a basic survival knife, but the total package when the chips are not in the owner’s favor. 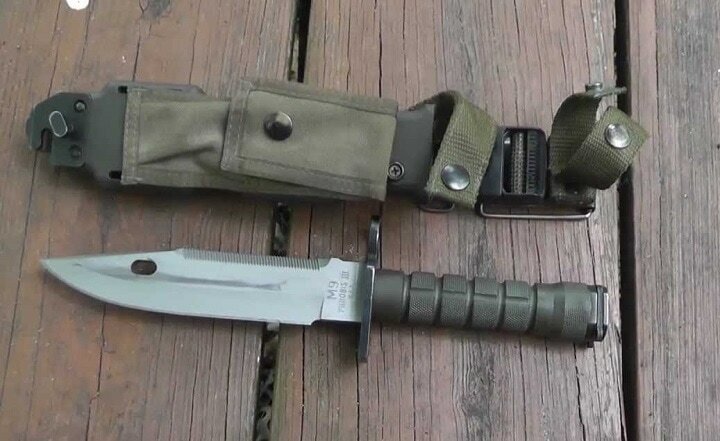 I recommend this choice in a survival knife because I carried the US Marine leather handle short M-1 bayonet for several years in the field until someone at an airport in a South American country lifted it from my gear bag. 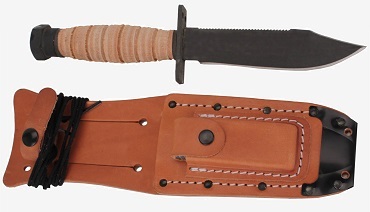 Today, I own the Marine Corps Ka-bar fighting knife as a replacement for the old WW II short bayonet. If you understood the amount of research put into that blade by the military, it would blow your mind. The end result here is a very old design that has withstood the test of time. The 7” blade on the 490 will withstand prying and hacking, and is great for cutting into sea mussels or clams when used as bait for surf fishing (something I have done a great deal of over the years). I chose this example because I went through many cheap low-grade steel knives during my shoreline adventures. The price of Ontario 490 Knife Knife varies, so check the latest price at Amazon. 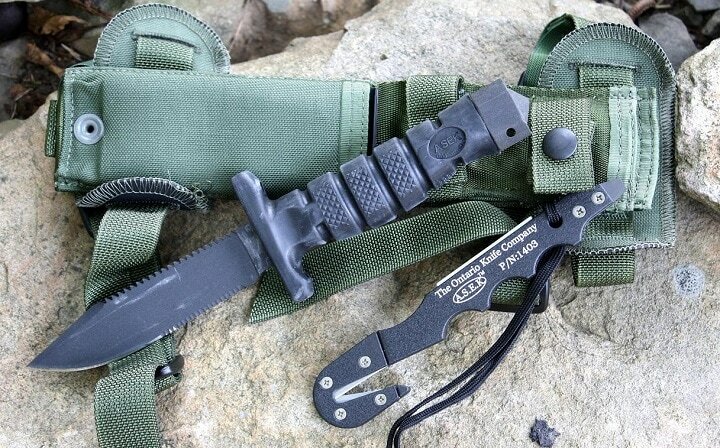 Chosen by the US Army for the Air Warrior Equipment System, the Asek knife is a multi-tool system tied into one effective carry package. It is made from 1095 carbon steel with a zinc phosphate finish that will inhibit rust. The 5-inch blade is serrated with saw teeth on the spine. With a Rockwell hardness of C 50-54, the blade is unlikely to fail even under very hard use. The handle on this knife is machined aluminum, and has two oxygen valve and shackle wrenches. 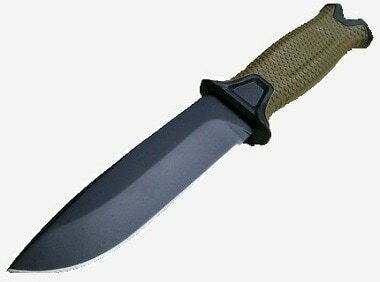 The price of Ontario ASEK-AircrewTM Survival Egress Knife varies, so check the latest price at Amazon. 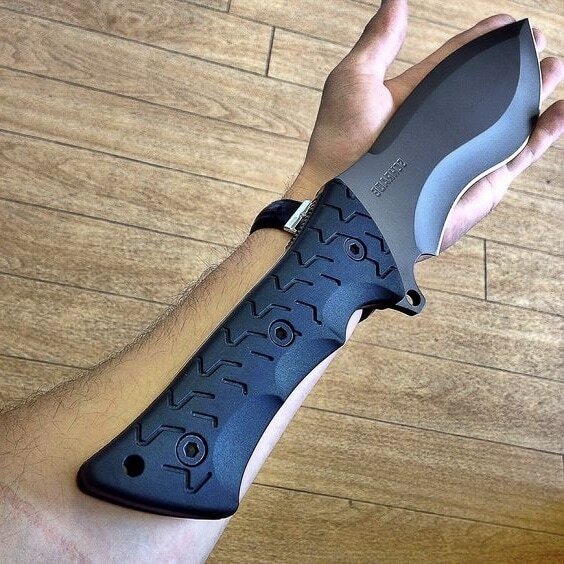 This knife is the iconic 499 survival tool. I say “iconic” because the style is that of almost all upper- end military-style fighting and field tool survival systems. 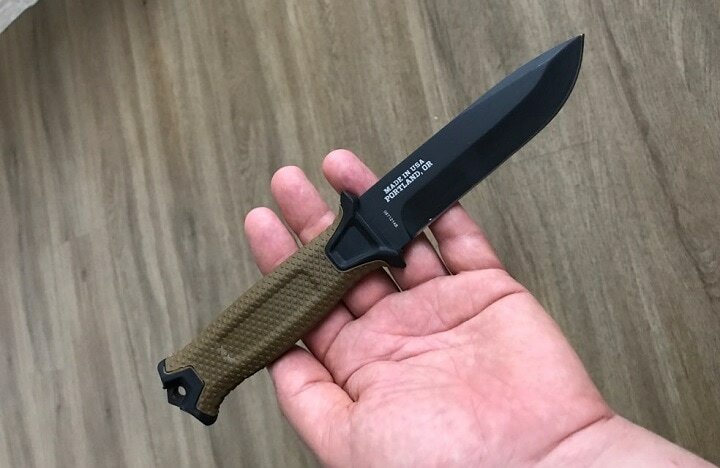 Built by the Ontario Knife Company, it is standard issue to the Airforce and Army, both across the border and in the states. Mounting a 5” parkerized blade that has a serrated top section, the design is meant for hard use. 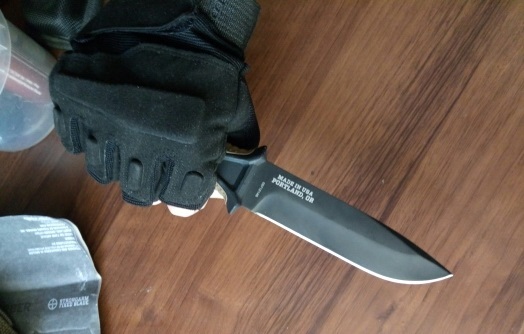 This Model also features leather grip surfaces and a full hilt in the event the knife needs to be used for self-defense. Wet bloody handles are not an option, as a wet hand can slip and slide onto the blade itself if not protected by a full hilt. 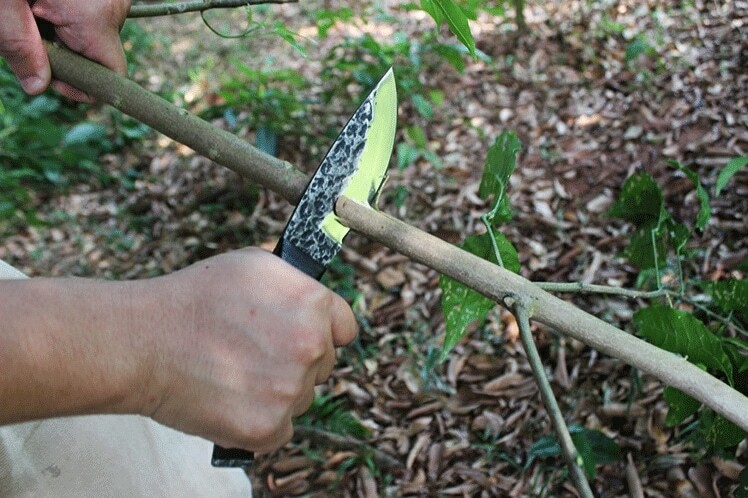 Powder coat is used as a rust preventive and although it is not very nice-looking, a true survival knife needs to emphasize function over looks. 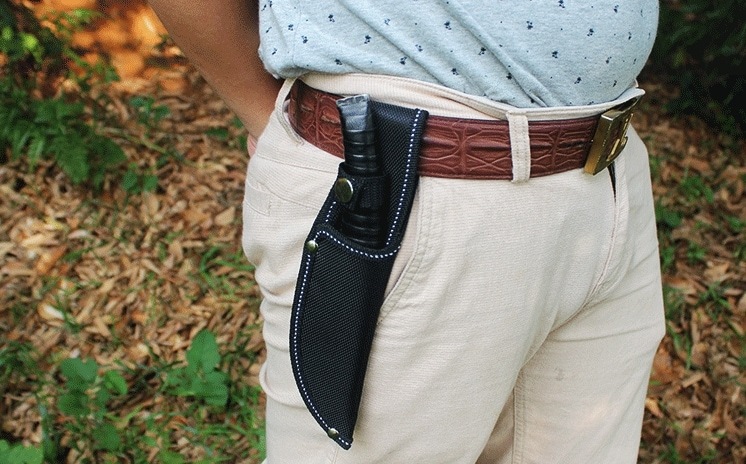 This knife comes with a leather sheath and a sharping stone. The leather handle on this knife requires a lot of oiling prior to heavy use. You can't oil this enough, and when soaked with leather-based oil, it will outlast the user by many years. The price of Ontario Knife Company Model 499 Knife varies, so check the latest price at Amazon. Russian tank steel from Red Army wrecks could well be the starter material in this case. I own several of these knives, including an exact copy of the one being presented here. 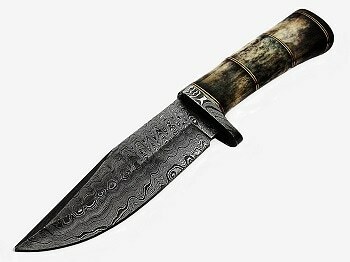 Damascus steel is a favorite of mine, and I tested three of these over several years in Australia when hunting commercial kangaroo, scrub bulls and pigs. I found these eastern-made knives to be very well built and artful to the eye and tend to hold an edge even when used to butcher very large game like scrub bull or water buffalo. 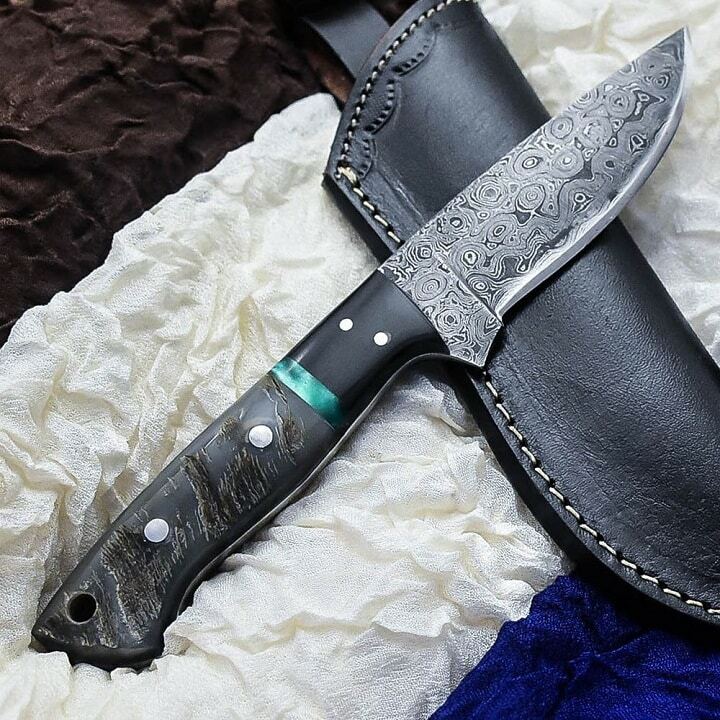 This knife makes use of the obvious high-grade Damascus steel and is layered very thick in the forge and therefore strong. This blade has been tested in the lab and returns a hardness HRC of 58-60. 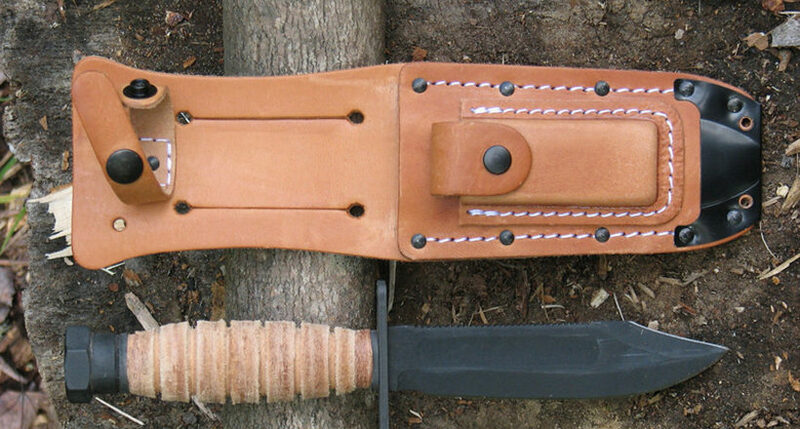 Blade length is 5.50 inches and features a heavy leather sheath. 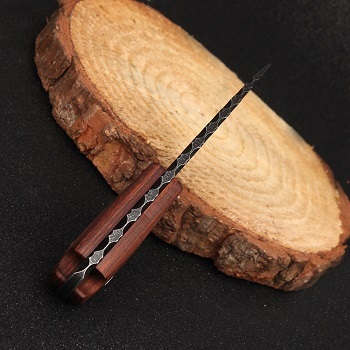 The price of Damascus Steel Knife varies, so check the latest price at Amazon. Water buffalo Australia. The hunt starts when the animal hits the ground. A big knife is required here. Many knives were put to the test down under by this writer over a five-year period and are being reviewed later in print. 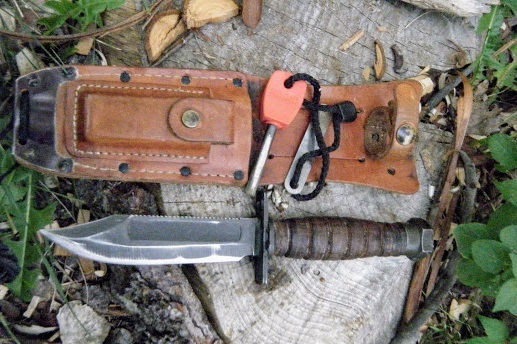 This stainless-steel survival knife is a solid camp tool. 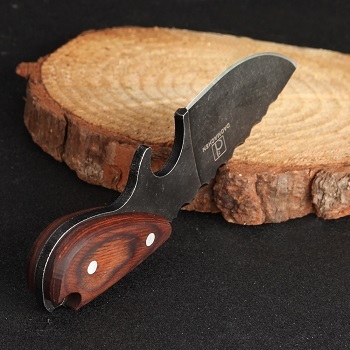 The 5-inch drop point blade fits the general standard for a working field knife, and the TPE handle is built to last even in very harsh conditions. The blade is made from 1095 Powder Coated High Carbon steel and the knife is offered with a light weight polyester belt sheath. It also features a ferro rod, and sharping stone to keep the blade right up to standards. The handle on the knife is also equipped with a thumb depression at the base of the blade to reduce the chance of the user’s hand jumping into the blade itself during hard pressure cutting. This knife is a lower priced bargain in terms of what you’re getting for your money. 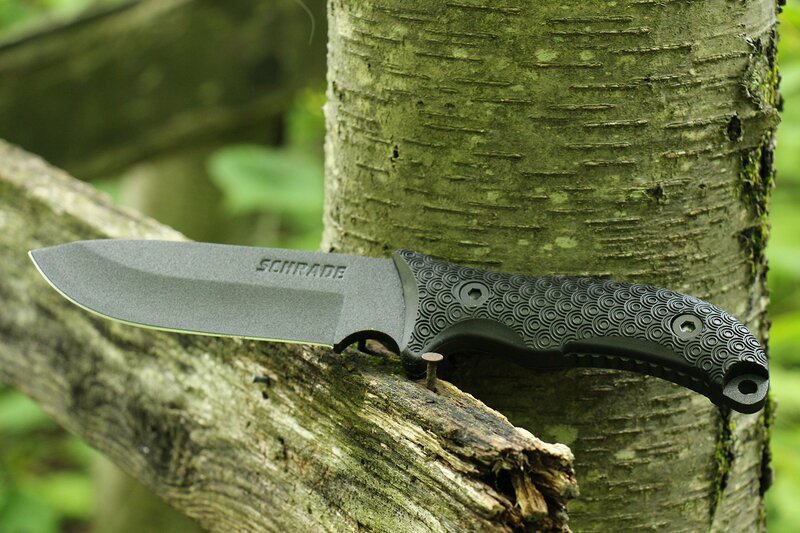 The price of Schrade SCHF36 Knife varies, so check the latest price at Amazon. This Schrade model is designed as a classic survival knife and features a large 7.94-inch fixed blade that can hack as well as cut. Heavy tasks are not an issue here. This knife features hand guard finger grooves for anti-slip safety when working with wet hands. 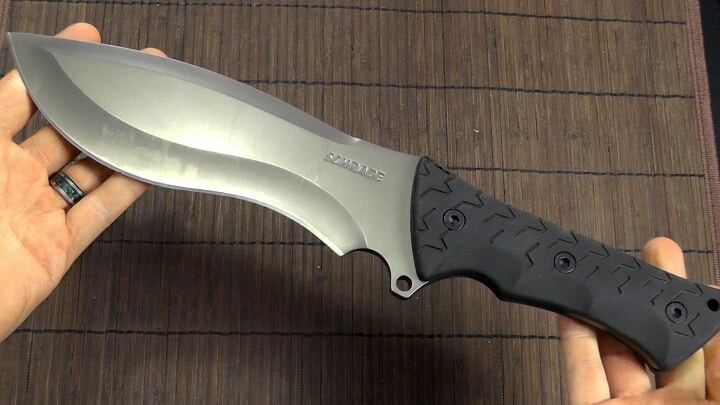 The blade is titanium coated 8Cr13MoV high carbon steel. The drop point design places it into the classic styling used on many knifes of this type and usage range. 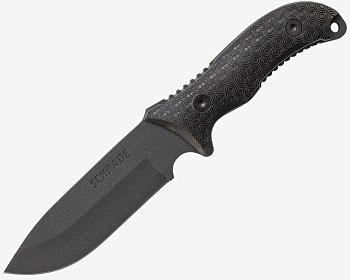 The price of Schrade SCHF28 Knife varies, so check the latest price at Amazon. This is a knife I have used all across Queensland AU with very solid results. It comes with a heavy sheath made of polymer product that locks the knife into place and also uses a handle strap as well. The mesh bag on the back of the sheath holds matches and a sharping steel along with my own small fire flint. The system is a true survival unit. The blade is a bonded carbide titanium steel that is harder by 10% than normal knife blade steel at 440 Rockwell. I have used the knife for over eight years, and have found it keeps an edge well, takes on all manner of abuse without failing, and is a masterpiece as a hard use field knife when you’re miles from any sort of assistance or resupply. The price of Camillus Survivorman Knife varies, so check the latest price at Amazon. 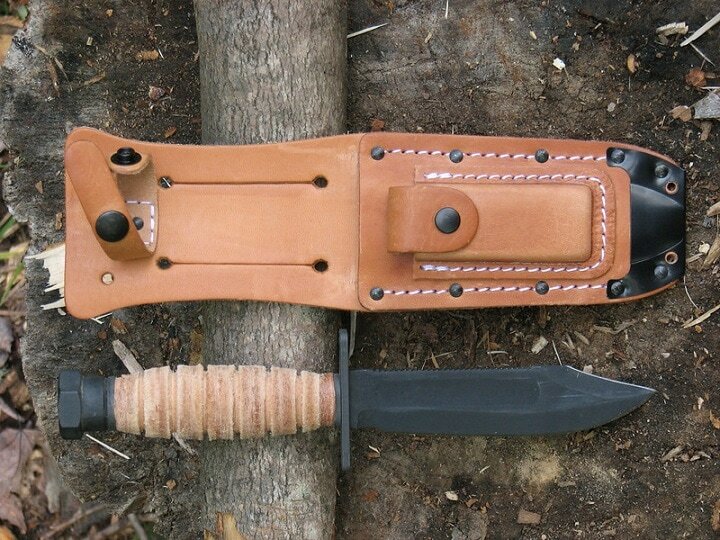 At a 7 7/8-inch length, this is a smaller example of a survival knife that is set up for more delicate work around a camp kitchen or other similar tasks. The blade on this knife is 1095 high carbon steel with a saw back and thumb ridge top edge. The knife comes with black canvas Micarta handles and retains a lanyard hole with a molded black Kydex sheath. The price of Camillus Barbarian Knife varies, so check the latest price at Amazon. Your survival knife needs one special element in order to work well. It requires that you have faith in the blade. If not, buy another because in the wilderness or even on a city street today, trust means everything in terms of what is expected of your equipment at crunch time. Author's personnel knife. 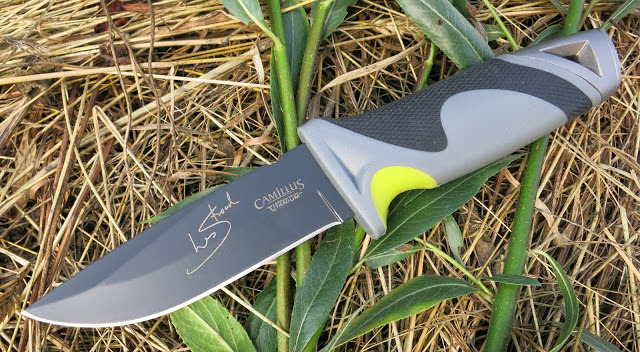 Camillus Survivorman by Les Stroud. Author's set of survival knives. Left: Survivorman by Les Stroud. 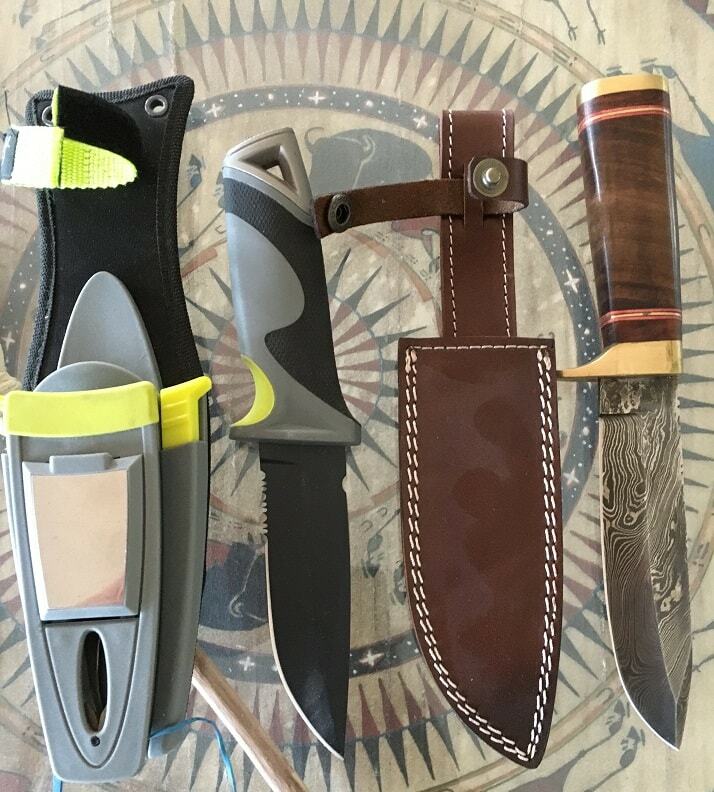 Right: Turkish Damascus steel bowie style survival knife. Built most likely from burned out Russian tank glaze plate armor. 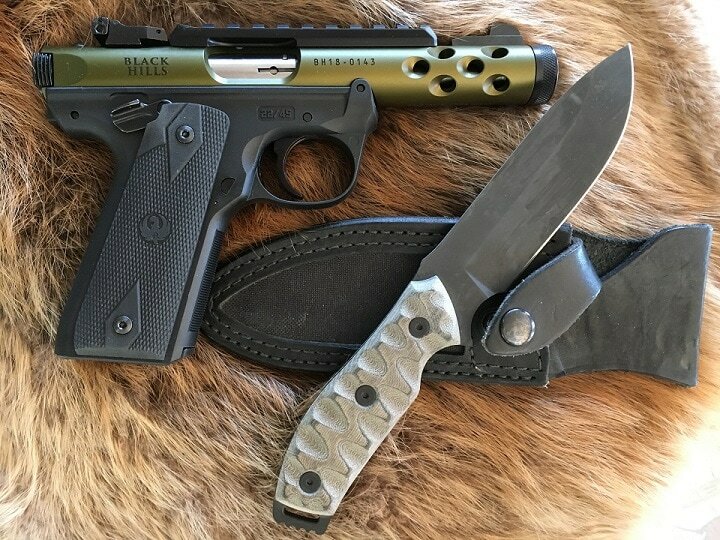 Author's bug out kit, Ruger Mark IV 22 LR hand gun, and GTI survival knife. If you have something to say about these products, I would very much like to hear from you. Please feel free to comment your thoughts or concerns.